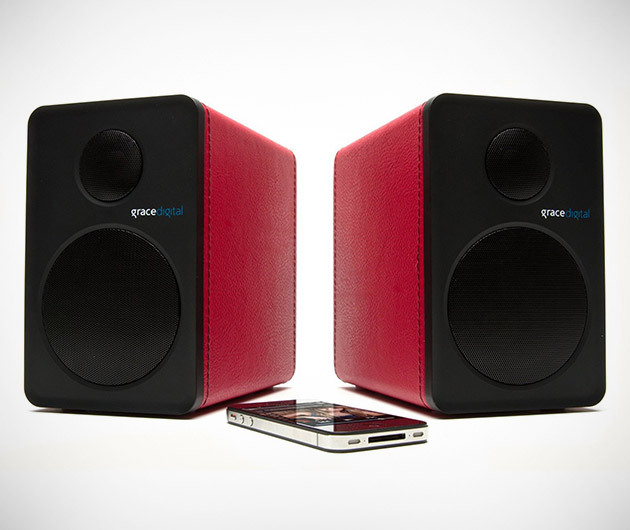 Pair up to eight devices at once at up to 30 feet apart to the Grace Digital aptX Bluetooth Bookshelf Speakers. Untangle your life and go cable free as you enjoy music throughout your house and garden, and even give your friends and family a turn at choosing the tunes. Available in three colors.